Drinks from Dark Iron Ale Mug. This quest is available at The Darkmoon Faire. 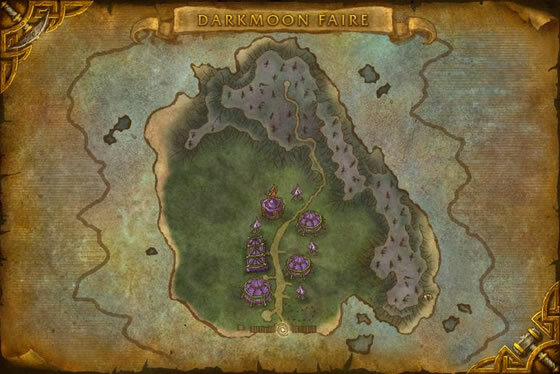 The Darkmoon Faire location alternates between Mulgore, Elwynn Forest, and Terokkar Forest. Completing the quest rewards you with an [Unhatched Jubling Egg] which will become [A Jublings Tiny Home] in seven real-time days. Much like Disgusting Oozeling, if you offer a [Dark Iron Ale Mug] to this pet, it will eagerly move toward it and lap it up. All members of the party need at least 1 Ale, and you have to actually be in a party. When the ! appears over Morja, each party member can swap an Ale for Jubling! I only needed one mug. Set it right in front of Morja and wait. Can just get them from the auction house and do the quest? I solo'd through blackrock depths to get the ale as a level 60 hunter, wasnt too bad, only died once ;) If you dont see jubjub after a little while you can walk out behind the pen to see if he is coming. Then just go back and wait at mojra. Went and got him last Saturday (still waiting for the egg to hatch). Had a rogue alt go get 10 ale which only took a few minutes. It only takes 2, but wanted enough for my wife and friends, etc. and 10 is the max you can buy at a go. Anyway, I am guess that when you put down the first ale, that the quest must become visible to everyone in the area, because within moments of dropping it I was surrounded by toons. I thought it was funny. Anyway can't wait for the little bugger to hatch. Like some have said before, all you really need is 2 ale's. I put one in front of morja and just waited. i thought I did something wrong but in bout 30 secs he hopped over and I got the quest with my other ale. I did this with 3 ales. One to start. A second as an insurance policy. Then a third to trade Morja for the egg. Now for the week's wait to hatch the egg. I used the Direbrew remote to quickly get the ales. BTW, these ales are not soulbound, so you can email them between toons. Also, the vendor only sells 10, but there are another 5 that you can loot from the table if you want to get as many as possible at once. Just got this done. You only need 2 ales to get this done. If your travelling in to blackrock depths you mighs as well buy 10. You need to place 1 ale at Morja's feet. The frog will then come. Wait 4 quest to pop up then place another 1 to receive the pet. Hope this helps. The fact that this pet is the only Alcohol consuming pet in game, made me name mine "Janis Jubling". This pet truely deserves an upgrade. Tip: If you keep some Dark Iron Ale Mug's in your stash, you can allways share a cold one with Jubling. I was able to lure JubJub just by setting a single ale at Morja's feet. You will also need an extra ale to give to Morja to complete the quest, so try to have at least a few on hand. Just got the egg last night, can't wait until she hatches! I used my direbrew remote, bought all 10 dark ales. Sure I almost used all of them, but Jubling here enjoyed them lol. Just make sure you have an extra dark ale when the quest pops up because Morja asks for one so that Jubling won't run away again. Just confirming this pet is still available. You don't need many ales (I used 4) but sometimes she is a long way away from her owner so I'd suggest taking 10. Yes, it's the same for Alliance. But, you apparently need now to make a trail with the ale from Jubjub to Morja. Tried to get this with a guildie, and he would not hop to Morja if you just put the ale at her feet. Jubjub is in the forest just behind Morja, he can be easily found hopping around there. A tip for those trying to get this pet. The dark iron brew is not BoP, so you might want to pick up a few extra to sell on the AH,because they sell for a bundle to those trying to get it at lower levels. Or you could send it to your alts, to get this pet extra early. You get this pet from doing a simple quest from a Orc at the Darkmoon Fair. To do this you need 2-3 beers from the bar in Blackrock Depths. At level 80 these are rather easy to get as you can solo the instance. If you are not level 80 you could get a ride from a friend using there Mole Machine,from the Brewfest boss in Blackrock Depths. When you have the beer just place it on the ground near the Orc. Her Jub-Jub will come over and lap up the beer. She will then give you a quest for the pet egg. I love pets that are large and colorful and the Jubling definitely is both of those. 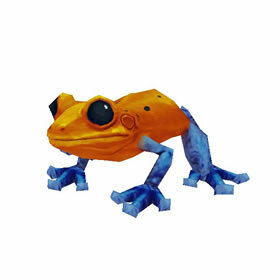 But the best thing about this pet is the sound he makes when you click on him -- it's a trilling almost purring sound that is very un-froglike and adorable. The legendary ale frog was believed to be extinct until the strange brews at the Darkmoon Faire brought them out of hiding.